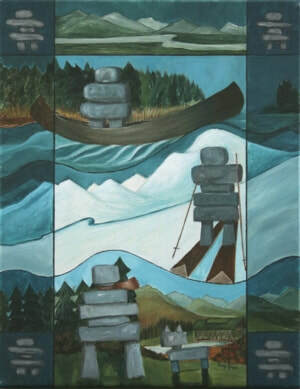 Inukshuk means resembling “inuit”, they are usually made of massive rock slabs in the shape of a person and signify safety, hope and friendship. These stone sculptures were also important for navigation as a point of reference for hunting grounds or to denote a food or water source close by. Because of their durability, they can endure extreme weather conditions and their existence could ultimately help people to survive.